The title is a fragment from the thirteenth chapter of the First Epistle to the Corinthians. 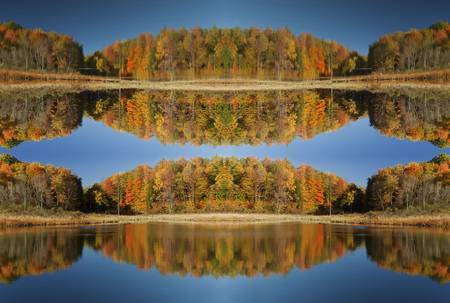 During brief moments of the upstate New York autumn season perfect images are mirrored in quiet pond waters. It this case the effects lasted a few seconds. McLean Bogs, part of Cornell Plantations, is known for its biodiversity and is reserved for research.